Sylvester Stallone doing a horror film!! 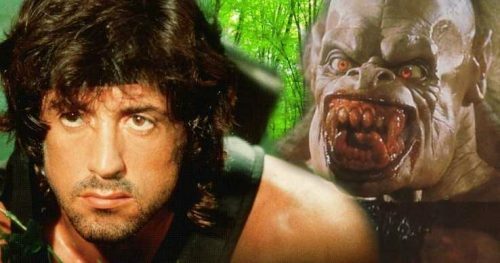 A scrapped idea for Rambo 5 is being turned into a horror film. Sylvester Stallone is set to star in and produce an adaptation of the novel Hunter by James Byron Huggins. Stallone battles a beast in the Artic. Balboa Productions is going to work on Hunter. Sylvester Stallone purchased the rights to the book in 2009. Hunter centers on a man named, unsurprisingly, Nathaniel Hunter, who is an expert tracker that is recruited by the military, who desperately need him for a mission. An inhuman beast is loose somewhere in the Arctic Circle. The half-human abomination was made by a renegade agency and it is already wreaking havoc. It’s up to this expert tracker to stop the beast, or else it will present a huge danger to a great many people. Chinese financier Starlight Cultural Entertainment has a deal with Balboa Productions, is set to finance the project, in addition to several others. Hunter coming to VOD and DVD in February!! Trailer for Backtrace starring Slyvester Stallone!! Sylvester Stallone Starts ‘Rambo 5’ Workout! !